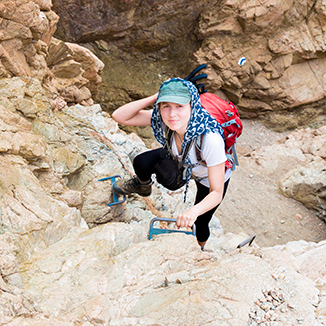 The Israel National Trail is one of the main attractions if you are one of those hiking and nature aficionados. This is a trail that was inaugurated in 1996 and traverses Israel from Kibbutz Dan in the north to the Eilat Field School. The trail is about 1,100 km long and lasts 30-60 days but you can walk only some of its segments. The trail passes by “mountains, forests, cities, villages, settlements, streams, springs as well as roads and nature reserves, along historical sites and unique nature phenomena”, as written in the website of “The Society for the Protection of Nature in Israel”, which planned the trail. National Geographic has chosen The Israel National Trail as one of the 20 best trails in the world in the magazine’s “Epic Trails” selection. When explaining their choice, the judges stated that the trail combines heritage and culture alongside nature and history and has “Biblical scenery and scenery of modern Israelis everyday life.” If you decide to hike the Israel National Trail, don’t miss out on meeting one of the “trail’s angels” a nickname given to people who live along the trail and offer accommodation, coffee and hospitality for free or for a minimal fee. In addition to the Israel National Trail, there are many trails, if you are nature and trekking lovers. 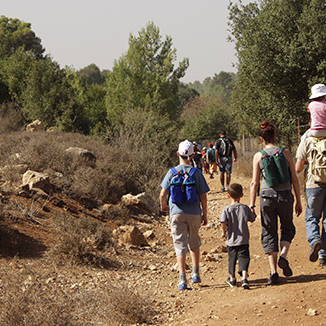 Most of the trails are developed and maintained by “The Society for the Protection of Nature in Israel” and we recommend you visit their website to get specific information. Famous additional trails are: The Golan trail, The Jerusalem trail and The Jesus trail also known as The Gospel trail, in which you can visit the Christian holy sites that are located in the Galilee mountains and in the Sea of Galilee. In addition to the many nature trails you can also find urban trails. These will give you a glimpse of urban life and urban nature; The most famous of which is The Haifa trail which goes through the city and the nature surrounding it. 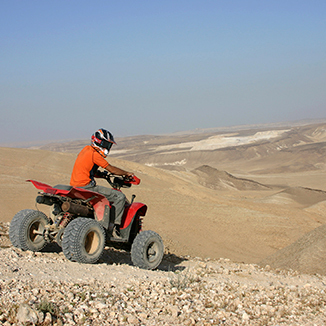 The trail consists of segments (like most trails in Israel) which allow you to choose the level of difficulty, the length of time and interests to suit your needs. As a country that is situated along the Mediterranean Sea, the Red Sea, the Sea of Galilee and different streams, Israel offers many sailing possibilities. If you are not a professional sailor you can still enjoy extreme sailing, a romantic sail in the Mediterranean Sea, rowing in the Yarkon river or kayaking in the Jordan river – there is a wide and varied range of possibilities. In addition to sailing, there are many surfing activities, the main ones being: wave-surfing, kite-surfing, wind surfing and in recent years a trend emerged of stand- up paddle surfing. 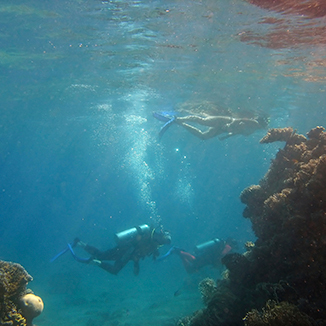 And if all these were not enough, you can swim with dolphins or dive in one of the many beautiful diving sites that exist in the Red Sea. Israel’s scenery is magnificent. The places you can reach and see will enchant you and will offer you a moving experience, even a mystical one. Many remote places in Israel are inaccessible by walking or by car. However using the right vehicle like all-terrain vehicles will allow you to safely get to these remote areas, especially in the desert. You will be able to choose from a wide variety of challenging nature trips in jeeps in which you will cross streams, wadis, cross picturesque flower fields, drive through wheat fields and orchards, and climb sand dunes in pristine moon-like landscapes scenery – and all these will combine with scents, sounds and colors you will meet with during your passage. 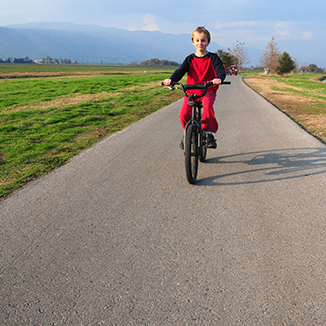 One of the sport branches that have developed in Israel in recent years is bicycle riding, which today has more than one million Israelis riding bicycles – whether off-road or on the road, in the cities or in nature. Part of the many trails designed for hiking have been adapted for bicycle riding too, and these include, among others, The Israel National Trail and the Haifa Trail. Famous bicycle riding tracks in Israel for non-professionals too, are the Singles track in Be’eri and a new track intended for road bicycles that when it will open, will be the longest in Israel. The track is named after Shneor Heshin and will stretch from Beer-Sheva to Nitzana in the south for 60 km.